He conjures the imperialist past with such comments (and he doesn't even use the term correctly). The context was a question from Tapper as to why the administration supports any number of dictators who violate human rights worldwide (he cited several examples including Saudi Arabia and the UAE) and is not calling for their ouster as they are for Maduro in Venezuela. That Bolton went to the Monroe Doctrine and made a distinction between countries in “our” hemisphere as opposed to the eastern hemisphere was extremely telling (which I will explain below). Worse, he didn’t even cite the Monroe Doctrine correctly. With the existing colonies or dependencies of any European power we have not interfered and shall not interfere. But with the Governments who have declared their independence and maintain it, and whose independence we have, on great consideration and on just principles, acknowledged, we could not view any interposition for the purpose of oppressing them, or controlling in any other manner their destiny, by any European power in any other light than as the manifestation of an unfriendly disposition toward the United States. There was a position that suggested that Europe should stay out of the western hemisphere, at least in regards to claiming new colonial holdings or to reassert control over previous holdings. 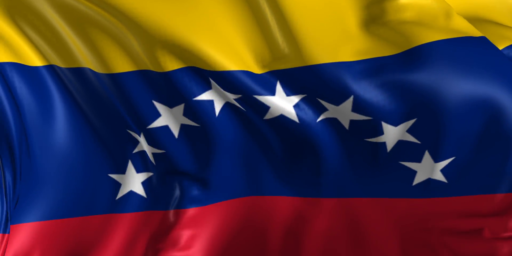 It, therefore, has no bearing on the current situation in Venezuela. It should be noted that at the time, the US did not have the power to back up this doctrine. Any country whose people conduct themselves well can count upon our hearty friendship. If a nation shows that it knows how to act with reasonable efficiency and decency in social and political matters, if it keeps order and pays its obligations, it need fear no interference from the United States. Chronic wrongdoing, or an impotence which results in a general loosening of the ties of civilized society, may in America, as elsewhere, ultimately require intervention by some civilized nation, and in the Western Hemisphere the adherence of the United States to the Monroe Doctrine may force the United States, however reluctantly, in flagrant cases of such wrongdoing or impotence, to the exercise of an international police power”Any country whose people conduct themselves well can count upon our hearty friendship. If a nation shows that it knows how to act with reasonable efficiency and decency in social and political matters, if it keeps order and pays its obligations, it need fear no interference from the United States. Chronic wrongdoing, or an impotence which results in a general loosening of the ties of civilized society, may in America, as elsewhere, ultimately require intervention by some civilized nation, and in the Western Hemisphere the adherence of the United States to the Monroe Doctrine may force the United States, however reluctantly, in flagrant cases of such wrongdoing or impotence, to the exercise of an international police power. The Roosevelt Corollary was an expressly interventionist policy in an era of numerous hemispheric incursions by the United States. It was condescending, one-sided, and exploitative of the countries in the US’ sphere of influence (mostly Central America and the Caribbean). The US militarily intervened some 30 times from 1898 to 1934 in the Caribbean basin, for example. Some were brief, others lasted over a decade. For example, when we look to long-term animosity between the US and Cuba, note that we intervened there four times from 1898 to 1922 or note the five interventions in Nicaragua from 1989 to 1933. These were hallmarks of the type of attitude found in the Roosevelt Corollary. (Beyond that period, the US’s support of autocrats in the region during the Cold War has also left a major mark). 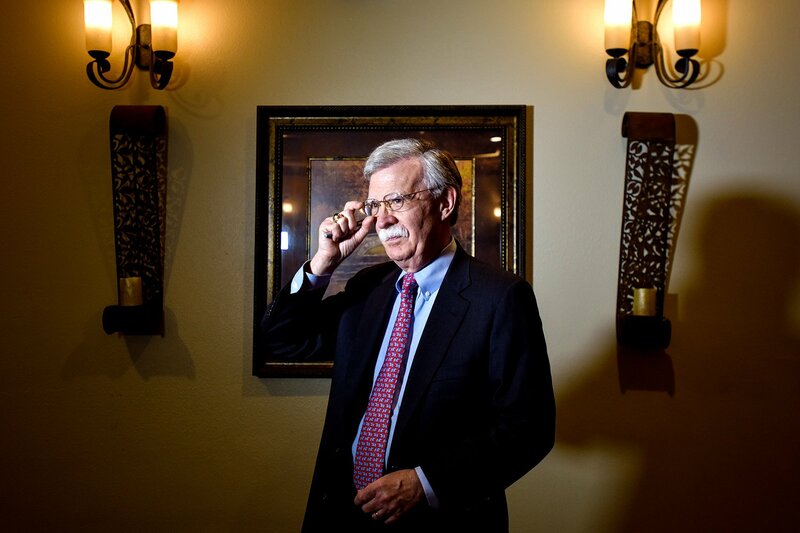 When Bolton talks about Venezuela as being in “our hemisphere” and cites (incorrectly, albeit) the Monroe Doctrine as a reason to be more concerned about the internal politics of country than is the case for autocracies elsewhere in the world he conjures further the dark imperialist past of the US in Latin America. Such talk actually helps Maduro. 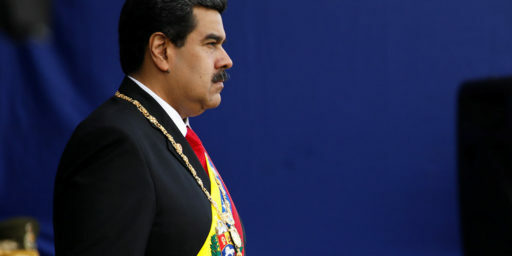 It will turn off partners in the region and it will give Maduro rhetorical aid as he seeks to fend off the yanquis. Also noteworthy from a symbolic point of view: there are lots of autocrats (like Kim Jong Un) who also share a hemisphere with the United States (the northern hemisphere). But that doesn’t bother us, apparently. But if there are political shenanigans in our hemisphere (the western), we seem to think that we have a god-given right to makes things right by our definition of right. This attitude is not lost on Latin Americans, even our friends. This kind of rhetoric along with bad policy ideas, like the one I noted last week, and the appointment of Elliott Abrams all sum to a possible disaster of a policy approach to an already terrible situation in Venezuela. Please note: I agree that Venezuela is a mess and that Maduro is part of the problem. But US intervention, even of the limited type we have already seen, let alone going down the road of Roosevelt Corollary logic, is not going to accelerate his ouster. And if we directly intervene to get rid of him, that is just going to create an even bigger problem. One thing is for sure: it is arrogant and dangerous for an American administration to treat the countries of the Americas as if they belong in some way to the United States. We have no inherent right to dictate the internal politics of our neighbors. When we decide otherwise, we typically makes things much worse. (And really, it is profoundly weird for us to complain about human rights abuses in Venezuela, which I agree are real and horrible, in the same week that the president shook hands with Kim Jung Un, whom he keeps praising as a great leader. To be honest, I would far more rather be a citizen of Maduro’s Venezuela than Kim’s North Korea). That about sums it up, doesn’t it? Who wouldn’t? If the so-called conservative national security industry actually believed in the Monroe doctrine we would have printed maps for the past 30 years or so with the ‘Islas Malvinas’ right there in the lower right-hand section of ‘our’ hemisphere. The people in Venezuela being shot at by their own government leap to mind. there are lots of autocrats (like Kim Jong Un) who also share a hemisphere with the United States (the northern hemisphere). But that doesn’t bother us, apparently. Well, they don’t share a continent with us. South and Central America’s problems can quickly become our problems (e.g., refugees). Not defending Bolton, who’s out to lunch, but there’s a pretty good reason we take more interest in the affairs of countries next door to us. Well, they don’t share a continent with us. South and Central America’s problems can quickly become our problems (e.g., refugees). On the one hand, I take the point. On the other, I would note that there were a lot of refugees from Viet Nam who came to the US in the 1970s. And a proximate cause of contemporary xenophobia was refugees from Syria. Monroe Doctrine or not, it should be clear by now that the record of “regime change” is quite abysmal in its results, not to mention expensive in monetary terms. Granted Venezuelans don’t display the level of fanaticism that do Islamists, there nevertheless exist factions in Venezuela perfectly capable of carrying out a civil war after Maduro is removed. There’s also what I call the Sulla Effect. When you show people the path to power by violent overthrow of existing authority, they figure they can follow your example. Oooh, points for dropping a Sulla reference. @Eric Florack: And we should criticize the Maduro government for such abuses. It would just be nice if Trump could find his way to be critical of North Korea, one of the worst human rights abusers in the world (or, at least, refrain from calling Kim a great leader). “North Korea is one of the most repressive authoritarian states in the world. In his sixth year in power, Kim Jong-un—the third leader of the dynastic Kim family and head of the ruling Workers’ Party of Korea (WPK) who exercises almost total political control—intensified repressive measures; tightened domestic restrictions on travel and unauthorized cross-border travel with China; and punished North Koreans for contacting the outside world. The government continued to generate fearful obedience from citizens by means of threatened and actual execution, detention, and forced labor under harsh, sometimes fatal, conditions. “The North Korean government restricts all basic civil and political liberties for its citizens, including freedom of expression, religion and conscience, assembly and association. It prohibits any organized political opposition, independent media and civil society, and free trade unions. Lack of an independent judiciary, arbitrary arrest and punishment of crimes, torture in custody, forced labor, and executions maintain fear and control. @Eric Florack: I’m pretty sure it’s really easy to get the NK government to shoot at you, and most of the people inclined to start something have already been shot. It would just be nice if Trump could find his way to be critical of North Korea, one of the worst human rights abusers in the world (or, at least, refrain from calling Kim a great leader). Trump loves Kim. He said so. “I was really being tough – and so was he. And we would go back and forth,” Trump told a rally in West Virginia. “And then we fell in love, okay? No, really – he wrote me beautiful letters, and they’re great letters,” he said. @Steven L. Taylor: Trump has made some reasonable progress with the guy. What you’re suggesting would be to throw all that away. you guys keep underestimated him. I’ve learned to just sit back and watch the Nickelodeon for a while. And by the way, isn’t it about time that the left started coming out against Bernie Sanders for his support of Maduro? @Jay L Gischer: Probably. But that makes my point for me. Why the support for Maduro among the left? Trump has made some reasonable progress with the guy. At least 421 officials have been purged under Kim Jong Un’s regime since he became leader in 2010, says the North Korea Strategy Center, a nongovernmental organization led by defectors from the regime. The report, cited by Radio Free Asia, confirms earlier details of gruesome executions used by Kim’s regime. It recognizes a total of nine purging methods that include hanging, feeding live prisoners to animals and shooting victims with anti-aircraft guns or incinerating them with a flamethrower. 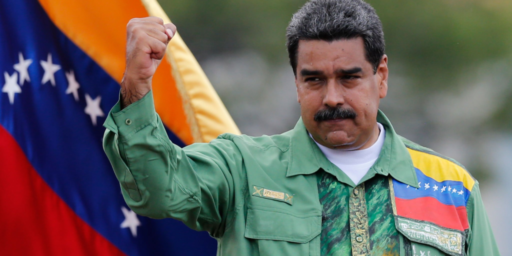 Why the support for Maduro among the left? @Steven L. Taylor: the point you seem to be missing is that he’s not trying to negotiate with Maduro. He’s quietly mumbles his problems with Maduro since, but he’s never withdrawn this comment. And why would that be, pray?